The Double Happiness (DHS) 3 Star World-Class Table Tennis Ball 144-Pack For Top Games contains 144 (24*6) DHS 3-star 40 mm T.T. balls available in white or orange. 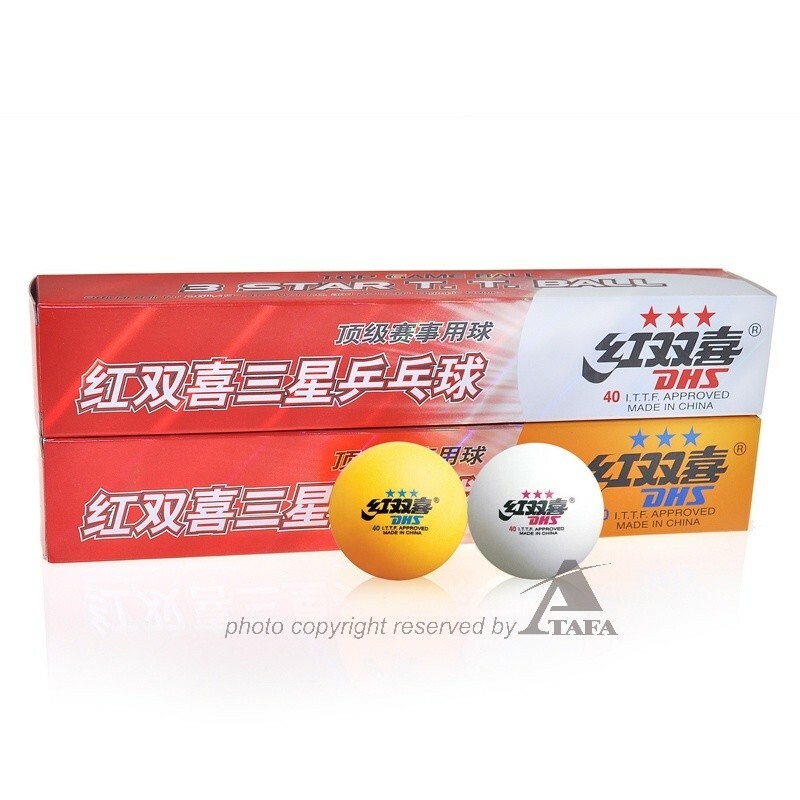 The Double Happiness (DHS) 3 Star World-Class Table Tennis Ball 144-Pack For Top Games contains 144 (24*6) DHS 3-star 40 mm T.T. balls available in white or orange. It's normally used for Olympic Games, World's Championship Games, and other Top games. Official Ball for 26th, 43rd, 49th, W.T.T.C. and 27th, 28th Olympic Games. The technical standards of DHS are the original version of international standards. The first 40mm table tennis ball used in the international tournament. The first table tennis ball approved by ITTF. DHS, the professional table tennis maker has its unique view point on the study of materials and formula, making technique, the mutual influence between table tennis and motor function. DHS makes constant efforts to offer the technical support to the development of world table tennis sport. It made the first table tennis ball of China and the first designated table tennis equipment for world championships. Besides, it is the first in the world to develop 40mm table tennis ball.